“Now the world has seven wonders, the travelers always tell, some gardens and some towers, I guess you know them well”. That line from an old song I remember as a kid, serves only to remind me that the world has way more than seven wonders; in fact, this amazing planet we live on is full of beauty and wonder and we don’t have to go very far to find it. All New Zealanders know that some of the most awesome and amazing scenery on this planet, is right there in their own back yard. We also know that New Zealanders are inveterate travellers and have an innate desire to see other places; to explore other cultures; and to boldly go where their friends haven’t been before. I am here to tell you that many of the world’s wonders are in this fair land...The Philippines. I will tell you about many of these hidden treasure in this series of articles, but I will start today with probably the best known of The Philippine resort treasures – Boracay Island. There are a host of beautiful island resorts around the world that come to mind; Ibiza, Fiji, Bali, the Greek Islands, the Whitsundays, Rarotonga; just to name but a few, but if you want somewhere different, somewhere amazing and somewhere that will allow you the peace and quiet that you seek, plus the excitement and pulsating nightlife that you are after, then you need look no further than The Philippines, and the world’s No.1 island resort – Boracay. Boracay is a small island around 300klm south of the capital Manila and just 2klm off the northwest tip of Panay Island, in the Western Visayas. The island and its beaches have received numerous awards from various publications and travel agencies. In 2012 the international travel magazine Travel + Leisure awarded Boracay as the best island in the world. Famous for its pristine white sand beaches and as the perfect place to relax and unwind from the real world, it is also now emerging as a hotspot for exciting and varied nightlife, with numerous international events taking place. Whether you are a backpacker or a seasoned luxury tourist, there is somewhere suitable for you to stay when in Boracay. Some of the world’s best resort names are located in Boracay. If it is five-star luxury that you seek then look no further than: Shangri-La’s Boracay Resort and Spa, Philippines; Ambassador in Paradise; Monaco Suites de Boracay Hotel; or Astoria Boracay Resort but if you are budget conscious there is also plenty there for you to choose from: Patrick’s Home Boracay; Danaru Spa Guest House; Desseree’s Place; or Blue Bamboo Hostel. From five-star luxury to one-star backpackers and everything in between. At last count there were over 200 different accommodation experiences available in Boracay, and the prices are more than acceptable to everyone. As an example; a night in a one star hotel will almost certainly cost you less than NZ$100 and even five-star luxury can often be had at peak season for around $250 per night. The answer, as always, is research before you leave. It is a good idea to use and book with one of the many accommodation websites available; such as Agoda, Hotels.com, Expedia, Travelocity or Bookit.com. You can often find real bargain rates, especially off-season. Despite the exciting night-life on offer, it is still the beauty and peace of the beach that propels people to visit beach resorts, and there is no shortage of gorgeous beaches on the tiny island of Boracay. It may be only 7 kilometres long and at its narrowest point, only 1 kilometre wide, but Boracay manages to pack in more than a dozen spectacular beaches and coves into that small area. 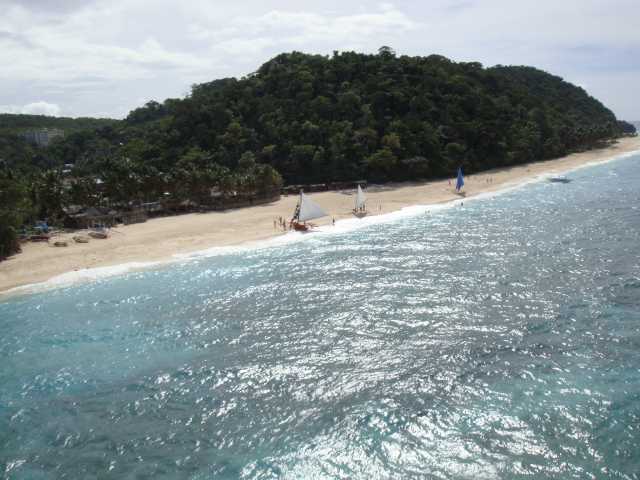 All the beaches have the famous Boracay powdery, white sand and all are very safe for swimming and diving. 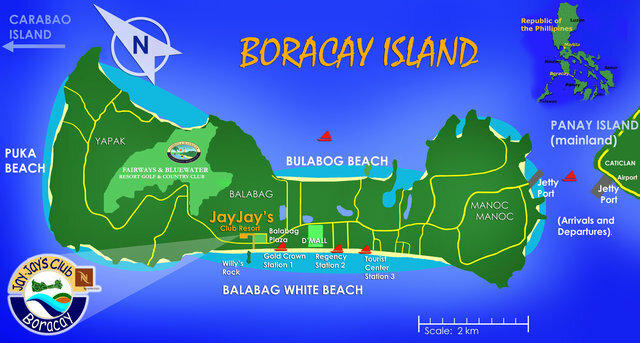 Three of the more famous beaches on Boracay are: White Beach, Puka Shell Beach and Balinghai Beach. White Beach is possibly the most well known beach in Boracay and at 4 kilometres long and up to 100m wide, is certainly the biggest. Considered the premier beach in Boracay it is popular with swimmers, snorkelers, and sunbathers alike. Shelter is provided from the blazing sun by swaying palm trees and what could be more relaxing than a soothing massage from one of the local masseurs who ply their trade on the beach. The white sands and crystal clear waters of White Beach make this one of the most enchanting paradises on Earth. As the sun rises in the morning it reflects off the sand, which sparkles like crystal and the water calls you to come, relax and unwind from that busy urban lifestyle. Puka Shell Beach is the second longest beach on the island and covers half of the northern tip of the island. Its gentle surf is typical of an island surrounded by fringing reefs. At 800 metres long the beach is an abundant source of small shells and tiny white pieces of coral that are perfect for necklaces or other pendant jewellery. The beach is named after the Puka Shell, which many people regard as the finest shell in the world. One of the beauties of Puka Shell Beach is its peacefulness and seclusion, which makes it extremely popular for those who really need to unwind. Visitors to Puka Shell Beach feel a real exclusivity that is not always available at the more popular beaches. The sheer magnificence of Puka Shell Beach lends itself to professional photo shoots as well as being a venue for weddings, private beach parties and other special occasions. Balinghai Beach just calls to the romantic in us all. A tiny beach enclosed by craggy walls of rock it is a most romantic hideaway for couples, young and old, who value privacy and solitude. The cottages of the Baling-Hai resort are scattered on the rock cliff as well as at the top of the cliff above the beach. The beach offers possibly the best snorkelling opportunities on Boracay, with a magnificent coral garden not too far from the shore. The meals and refreshments are transported to guests with a basket, rope and pulley system, further adding to the uniqueness of the site. The accommodation at Balinghai is equally unique. Among the choices the traveller can opt for are: The Balinghai Beach Boracay Rock House, the Balinghai Beach Boracay Tree House and the Balinghai Beach Boracay Bat House. It is a unique resort, in a unique island, in a unique country. Boracay may well be the jewel in the Philippine tourism crown, but there are so many more, wonderful places to visit here in The Philippines that I will explore in future articles. This is The Philippines; the land I love and the land I call home. The current slogan of the Department of Tourism sums it up: “It’s more fun in the Philippines”.